Thiruvananthapuram is Kerala’s gracious capital city with its palaces, museums and the beautiful beach resort of Kovalam. 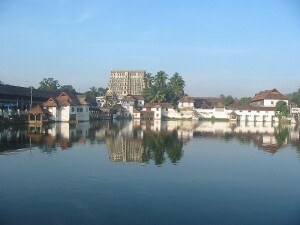 Dominating the city is the Padmanabhaswamy Temple with its tall gopurams or gateways.Built in the Dravidian style, the temple has within its sanctum an immense image of the Lord Vishnu reclining on the sacred serpent Ananta. Thiruvananthapuram derives its name from this patron deity.The little hill station of Ponmudi, a marvelously carved wooden palace at Padmanabhapuram, a fine temple at Suchindram and Kanyakumari – India’s ‘Land’s End’, are all within easy visiting distance of Thiruvananthapuram. The southernmost district of the State Thiruvananthapuram is bounded by the wooded highlands of the Western Ghats in the east and northeast, and the Arabian Sea in the west. A long shoreline with secluded, internationally renowned beaches, historic monuments, backwater stretches hill stations and a rich cultural heritage make this district a much sought after tourist destination. Akkulam Boat Club: Akkulam Boat Club is located 8 km from Thiruvananthapuram city. This is a very popular picnic spot with boating facilities and a children’s park with a swimming pool. Thiruvallam: Thiruvallam is located 6 km from Thiruvananthapuram city. The Veli Tourist Village is sandwiched between the Veli lagoon and the Arabian Sea. The lagoon here is separated from the sea by a narrow sand bar. Facilities at the village include water sports and an 18-acre waterfront park with a floating bridge connecting the beach. Veli Tourist Village: The Veli Tourist Village is located 8 km from Thiruvananthapuram city. The Veli Tourist Village is sandwiched between the Veli lagoon and the Arabian Sea. The lagoon here is separated from the sea by a narrow sand bar. Facilities at the village include water sports and an 18-acre waterfront park with a floating bridge connecting the beach. 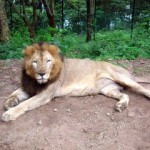 Peppara Wildlife Sanctuary: Peppara Wildlife Sanctuary is located 50 km from Thiruvananthapuram. Main attractions here are Elephants, Sambar deer, Leopards and Lion Tailed Macaques etc. 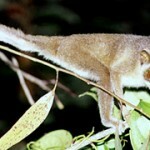 Neyyar Wildlife Sanctuary: Neyyar Wildlife Sanctuary is located 30 km from Thiruvananthapuram. Main attractions here are Elephants, Gaurs. Sloth Bears, Nilgiri Tahrs, Lion safari park etc. This entry was posted in Kerala, Thiruvananthapuram and tagged about thiruvananthapuram, Akkulam Boat Club, Neyyar Wildlife Sanctuary, Peppara Wildlife Sanctuary, Thiruvallam, thiruvananthapuram district, Trivandrum, Veli Tourist Village. Bookmark the permalink.